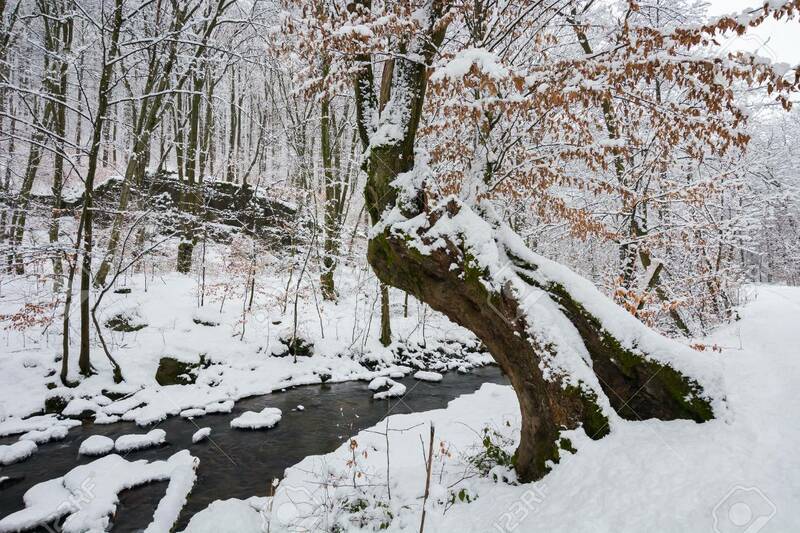 Tree By The Creek In Winter Forest. Weathered Foliage Along The.. Stock Photo, Picture And Royalty Free Image. Image 113787395.